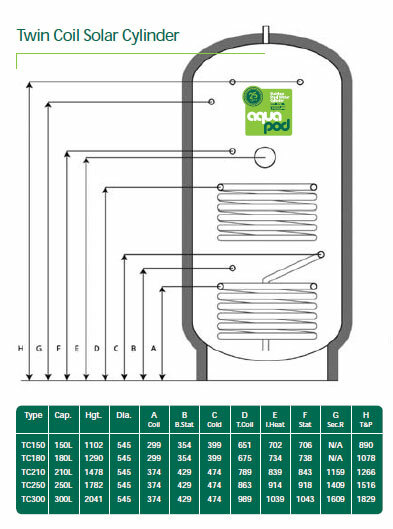 CoolSky provide both vented and unvented cylinders, all of which comply with the UK and Irish Regulations and are compatible with the Apricus collectors. 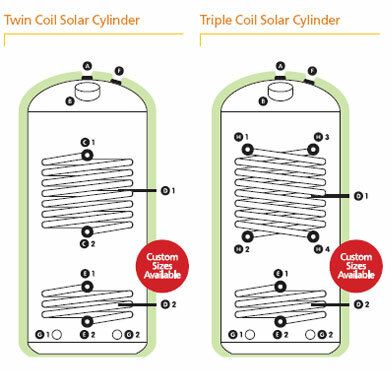 The Standard Easy-Fit Vented Copper Cylinders are available in either twin coil or triple coil configurations and are specifically designed to work in conjunction with the domestic heating system. 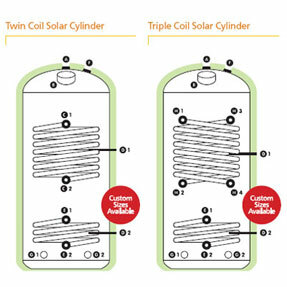 Single, twin and triple coil versions are available from CoolSky in standard sizes from 120 litres +. Bespoke versions are available to suit your footprint/spacing availability. 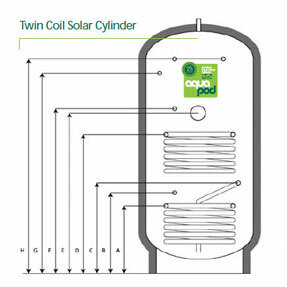 Unvented stainless steel cylinders are available in a range of sizes with twin and triple coils, in a range of sizes again from 150 litres. Bespoke large scale hot water storage solutions are available from CoolSky. We can both specify and cost to your specific requirements. Please contact systemdesign@cool-sky.co.uk for any enquiry on this service.